We are a team of translational scientists and research trainees with backgrounds in biomedical engineering, computer science, neuroscience and from time-to-time even entrepreneurship, creating innovative solutions to address real societal needs. We are currently heavily focused on addressing lack of early diagnostic and effective therapeutic solutions for youth mental health and addiction recovery. We believe need is mother of innovation. The scientific research projects we work on are directly driven by identified needs of our community through close partnership with health care authorities, the government, and people with lived experience. We are particularly enthusiasts of decoding the complexity of brain-behavior relationship and harnessing that to directly benefit lives of individuals impacted by mental health and addiction. We encourage collaborative efforts across multiple disciplines of science. We develop and apply tools from various disciplines to conduct research that leads to meaningful and timely translation of its benefit to end-users. We like to ensure we engage as many stakeholders as we can in the process of innovating new solutions and value our partnerships. Our tool set often includes various forms of neurotechnologies (e.g., biosensors, brain stimulation), data mining techniques (e.g., signal or image processing, machine learning), virtual/augmented reality, behavioral assessments, and computerized behavioral training. We have a mix of core and affiliated trainees with interests in in-depth investigation of specific research questions or building new technologies. What brings us together is the common goal of creating innovative solutions to reduce the impact of mental health and addiction. Dr. Faranak Farzan is the Chair in Technology Innovation for Youth Addiction Recovery and Mental Health in School of Mechatronic Systems Engineering, Simon Fraser University. vision methods for analyzing human behavior. 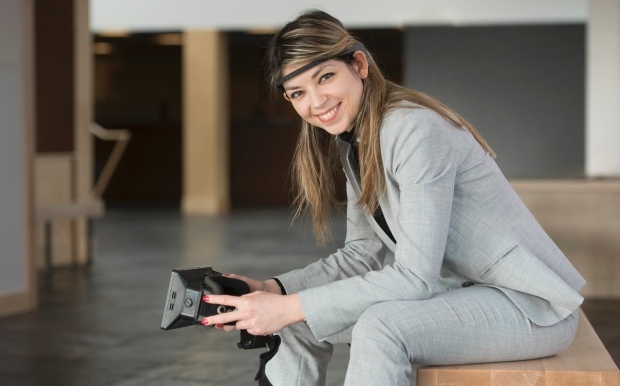 Yasaman Vaghei is a Ph.D. student in the School of Mechatronic Systems Engineering at SFU. Her research focuses on neuroengineering with application in medical diagnosis and neurotherapeutics. Benjamin Schwartzmann is a research assistant. He holds a master degree in electrical engineering and is specialized in signal processing algorithms. Dr. Moreno’s research program focuses specifically on brain plasticity and its implications for neuroeducation and neurorehabilitation. Dr. Moreno has been the recipient of many awards from national and international organizations and his work has been featured in various media outlets including newspaper and television. Emma has an MSc in Biomedical Engineering and is now a PhD student at SFU. Her research interests include using engineering techniques to understand properties of neural systems as a measure of cognitive health. Dr. Diane Gromala holds the Canada Research Chair in Computational Technologies for Transforming Pain and is the founding director of the Chronic Pain Research Institute. Dr. Greg Christie holds degrees in psychology, neuroscience and new media. He spearheads the development of software solutions at the Digital Health Hub that can improve the cognitive health of children and older adults.